The first time I visited Naples, I only had a passing and fleeting experience with the city. 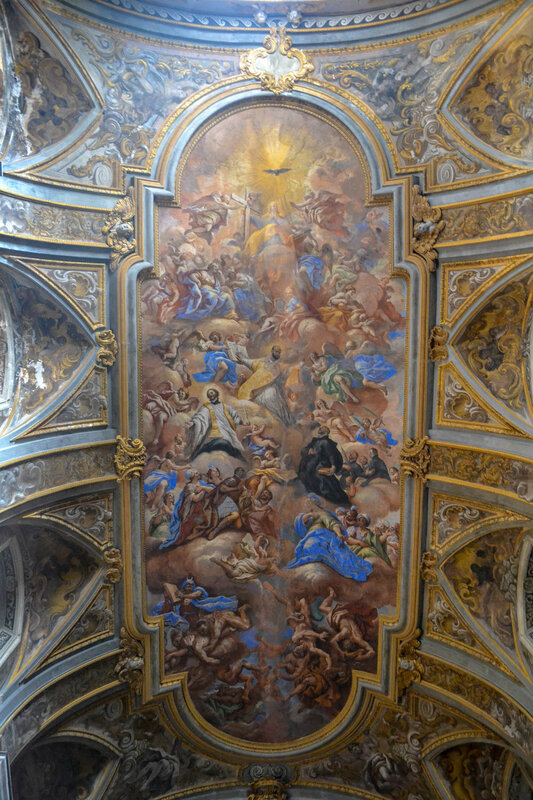 The visit lasted than less than half a day, and there was no time to walk around and see anything aside from a very quick visit to the Museo di Capodimonte. Despite the shortness of that first visit, the city intrigued me, and I was determined to check it out in more detail. I made a promise to myself that I would eventually return to Naples, and that came true several years later when I had the opportunity to spend several days there during the Christmas season. Prior to arriving in Naples, I had heard nonstop stories about the infamous garbage crisis that had turned the city into a dump, high crime levels, and the general dirtiness and rundown nature of the city. However, even though these stories did give me some apprehension about my visit, I was determined to see the place for myself and make my own decision. After my time in Naples ended, I came to the conclusion that Naples was probably one of my favorite Italian cities that even beats Rome! I had arrived there with certain preconceived notions and left with memories of city that is truly unique and beautiful. It is a place that I would return to in a heartbeat. When most people visit Italy, Naples is not often on their travel radar. Instead, a vast majority of visitors to Italy automatically head to the much better-known cities of Rome, Florence, and Venice. Poor Naples is usually skipped over since it is seen as “not worth it.” Even cruise ships that dock in the Port of Naples often don’t spend much time there, and the ships that dock there mostly shuttle the passengers through the city for a day trip to see the ancient ruins of Pompeii, which is located not too far from the city. 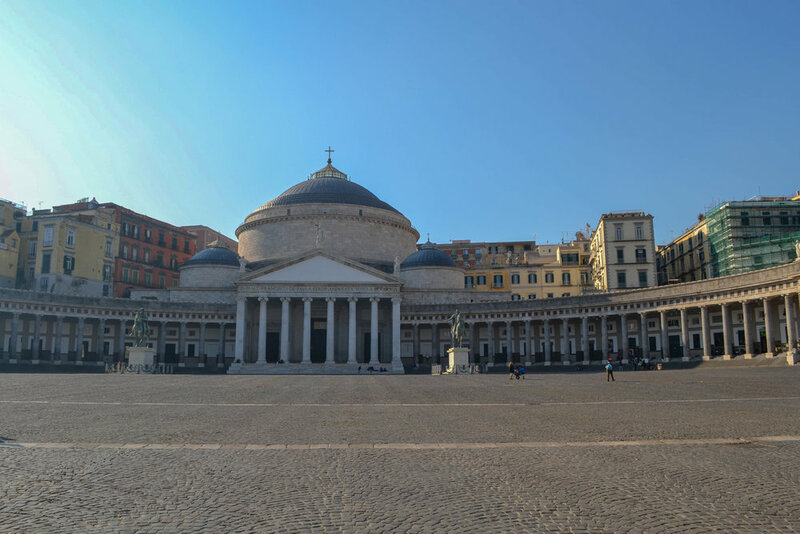 Despite getting a bad rap for years, Naples should definitely not be skipped over since it has a long and fascinating history, and even a short visit can produce some amazing memories. One of the main criticisms that Naples often faces is that it is a dirty city. Speaking honestly, Naples is not the cleanest city in Italy when compared to other places in the country. When I visited, I found Naples to be dirty, crowded, gritty, and it definitely looks rather rundown and neglected in some parts. This was very much in line with what other people had said before. However, despite its negative and dangerous outward appearance, the city comes across as quite genuine and authentic unlike other Italian cities which are much more tourist heavy and which tend to have a strong tourist infrastructure. The grittiness and dirtiness of the city has the ability to lend a strange sense of beauty and history to the place. In addition, unlike other places in Italy, Naples stands out as the city that was mainly filled with locals. Strangely enough, I didn’t see a whole lot of large tourist groups during my there. Also, unlike in Rome and Florence, where there were souvenir hawkers everywhere, I saw relatively few souvenir hawkers even in the area of the main sites, and this definitely gave the impression that the city was not as commonly visited as other cities in Italy. Therefore, if you’re looking for a more genuine and less touristic experience, Naples is the place to go. A vast majority of travelers to Italy tend to stay in the northern part of the country in either Rome, Florence, or Venice. This has often pushed the prices up in the northern part of the country and left the southern part poorer but more affordable. It is a well-known fact that Naples and southern Italy in general is not as expensive as the northern Italian cities of Milan, Rome, Florence, and Venice. Therefore, it is possible for your money to go a bit further here since it is possible to find really reasonably-priced hostels, hostels, and restaurants in the historic center than in other places, so budget travelers will definitely find this particularly appealing. One can easily spend several days walking throughout Naples and checking out all of the historic sites. For instance, near the Port of Naples, one can see Castel Nuovo, which is is a 13th century castle, fits the epitome of a medieval castle. The Spanish Quarter, which is one of the poorest areas in the historic center yet full of culture, is a wonderful area to explore if caution is taken. Finally, the Museo di Capodimonte is Naples’ premier museum, which houses thousands of artworks from mainly Neapolitan painters of the 17th and 18th centuries. There are also several hundred historic churches (approximately 500) mostly located within the historic center of the city. Of course, for those that would like to go on day trips, it is not far to Pompeii or Herculaneum, and one can very easily do a day trip from the city to the ancient ruins either as a solo traveler or on a guided tour. Because Naples is a major city, it is extremely easy to reach via car, train, or plane. For those who want to take the train, there are high-speed services that originate from Napoli Centrale railway station. These trains go from the north to the south and vice versa and which hit the major cities of Rome, Bologna, Salerno, and Venice among others. Naples International Airport is also another way to reach the city relatively easily. There are direct flights from most European cities, such as London, Paris, Madrid, Berlin, and Amsterdam to Naples, and it is also possible to fly from the east to Naples. When I went to Naples, I made use of Turkish Airlines and flew from Istanbul direct to Naples with no problems. For travelers who are interested in exploring the relatively-unexplored southern part of Italy, Naples really is a gateway to the southern part of the country. From Naples, it is quite easy to reach the more southerly cities and towns via the railway. This makes Naples a great place to establish a base of operations. From there, it is possible to spin off day trips to many different places. The Nativity Scene featuring the story of the birth of Christ is a beloved and well-known scene known throughout the world. The Neapolitan Nativity Scenes (also known as presepio) are large-scale miniatures that feature a veritable world surrounding the Holy Family on that special night. Often, these Neapolitan creches show the Birth of Christ while surrounded by scenes of daily life that were commonly found in the Campania region of Italy in the 17th and 18th centuries. 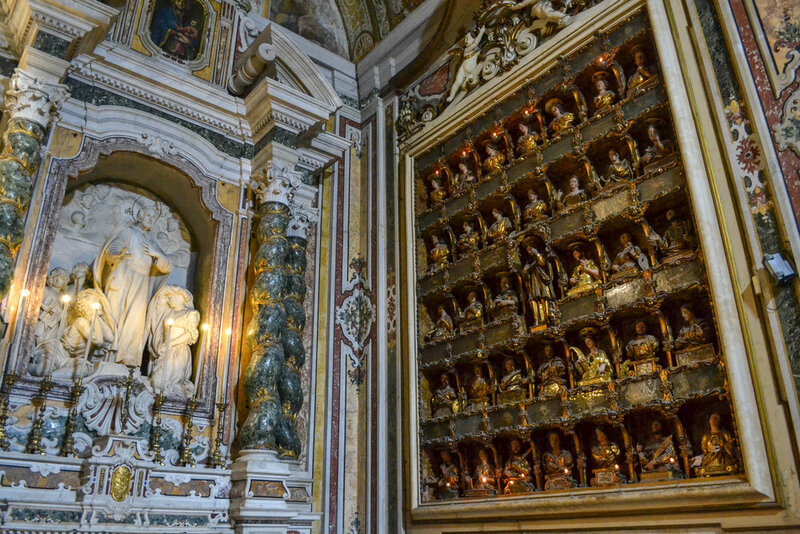 The Neapolitan Nativity scenes are world famous for their intricate detail and unique expressions on the faces on each of the dozens if not hundreds of different figures. It is extremely easy to spend an inordinate amount of time checking out all the details hidden within the nooks and crannies of the scene. These types of scenes are so famous that many world-famous museums often exhibit them during the holiday season. While it is possible to see presepe in museums, it is a truly unique and special experience to be able to see Neapolitan creches in Naples during the Christmas season. During my time there, I went into a deconsecrated church which had been converted into a museum space for locally-made Nativity scenes. It was an amazing experience to see something uniquely Neapolitan in its original setting. For anyone who wants a linguistic challenge, the Neapolitan accent and dialect is different from the other Italian accents. Generally, it is seen as the most difficult to understand, but it could provide some excellent practice with your Italian language skills. In addition, if you meet a local Neapolitan, they might even teach you some slang that is unique to Naples. No visit to Naples is complete without having some Neapolitan pizza. It is world famous, and even UNESCO has recognized it as an intangible part of Italy’s culture. While there are many restaurants that claim to sell original Neapolitan pizza, the Associazone Verace Pizza Napoletana (AVPN) is an association that maintains traditional standards for what counts as a real Neapolitan pizza. For a pizza to be considered “Neapolitan,” it must adhere to very strict standards that are set by the association. 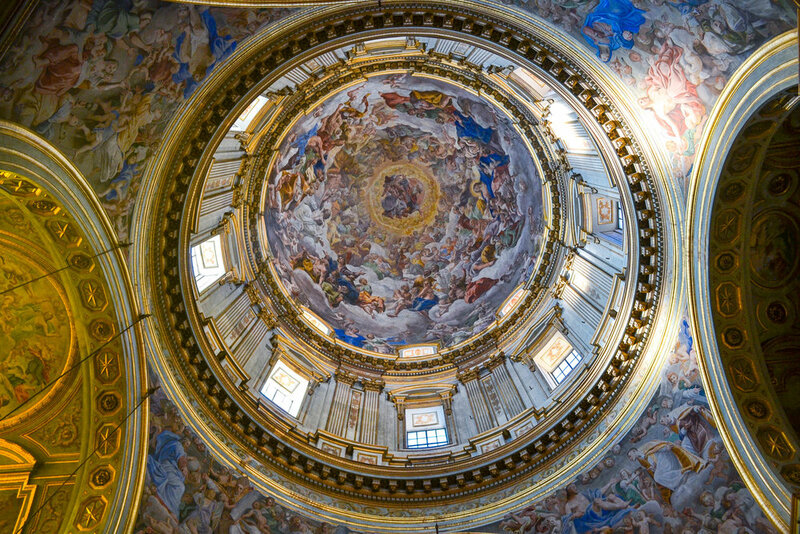 Italy is still by and large a Catholic country, but Naples is a place where a lot of traditional religion and belief still reigns supreme. 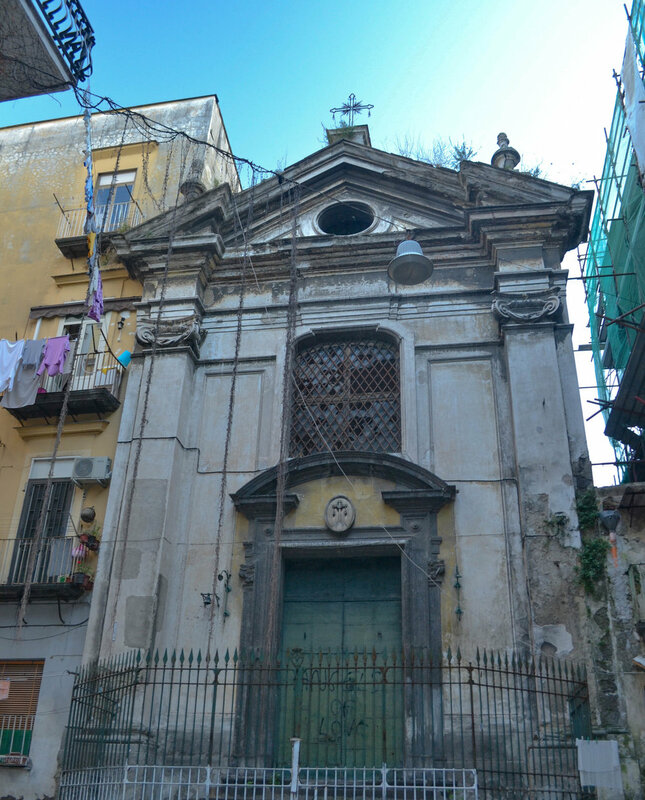 As stated before, there are hundreds of churches within Naples and like Rome, they are often in very close proximity to each other, so it is almost impossible to walk far without encountering one. If you should find the doors of a church open, I definitely taking a look inside. More often than not, there are tons of artistic treasures inside. 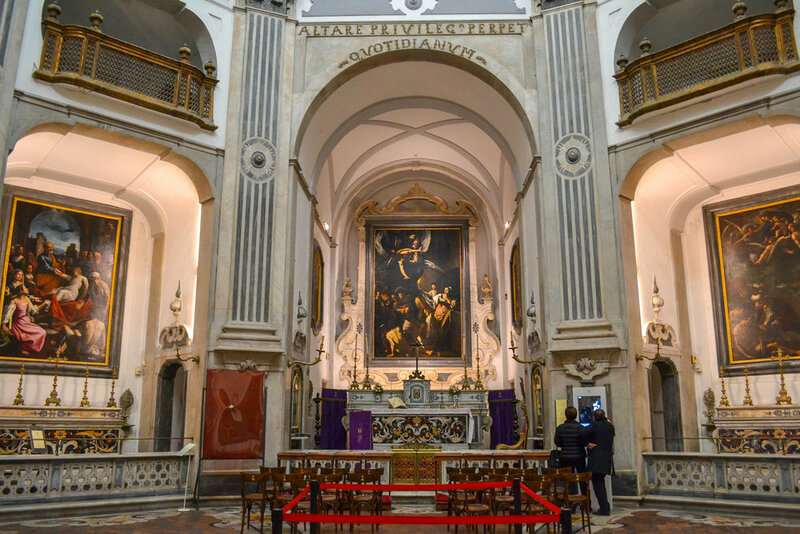 In addition, one of the most famous religious traditions of Naples is the Miracle of the Blood of St. Januarius. According to the legend, the sealed vessel that holds the blood of St. Januarius, who is the Patron Saint of Naples, is taken out three times per year (September 19, December 16, and the Saturday before the first Sunday in May), and the material inside (supposedly the saint’s congealed blood) turns from a solid mass to a liquid. The interesting thing is that sometimes the change occurs, and sometimes it does not. Whether you choose to believe this or adhere to a more scientific explanation is up to you, but it definitely plays a role in the faith of the people of Naples. Overall, even though Naples tends to get a bad rap and is often skipped over in favor of more “famous” Italian cities, a visitor should definitely pay a visit to Naples since there is much to see in this very unique Italian city. Have you been to Naples before? What did you think of it?